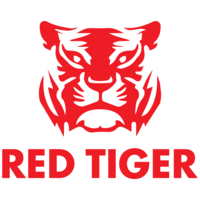 Red Tiger Inks Deal with Iforium to expand their Game Catalouges! The online casino game supplier Red Tiger Gaming (RTG) inked a new deal with the content aggregator, Iforium. The new agreement means that RTG’s full portfolio of titles will go live across Iforium’s Gameflex platform. As it’s understood, the new venture will ensure Iforium’s partner’s full access to RTG’s award-winning content. There’s no doubt that RTG is expanding! And this deal is only one of the many signs the company is growing. Plus, that its volatile games are getting more popular with online casino players. In fact, not long ago the game provider also inked a distribution deal with Casumo and Casino Heroes. Since then, we saw terrific games like Pirates’ Plenty, and Thors Lightning go live in their respective lobby! Not to mention that the new Mystery Reels Megaways will go live on both brands on 28th March. After the news went public on March 12th, RTG’s Commercial Director Chris Looney said. “Partnering with Iforium is wonderful news. Having our games join their collection will lead to many new opportunities”. He also expressed his hopes for the future! Iforium sure does have an extensive reach in the online casino industry! And this new deal with the content aggregator will only help the game provider to get a bigger slice of the iGaming revenue pie it seems. In response, Iforium’s CEO Phil Parry also seems pretty stoked about the whole ordeal! He had this to say, “It’s a delight to welcome RTG to our Gameflex platform. Also, their content contains some of the most popular games in the industry”, he admitted. So as this new partnership takes off, we expect new operators to receive RTG’s incredible catalogue of games real soon! At this point, the game developer has Iforium’s full support to go into new markets. So, it’s likely this deal could inspire RTG to create new games that all casino operators and players could enjoy!